As Universal guns the engine on the first planned spin-off from the Fast & Furious franchise, the studio has pinpointed the person it wants to wrangle Dwayne Johnson and Jason Statham for the film. John Wick and Atomic Blonde director David Leitch is directing the film. It makes sense that a film featuring the two would demand a director who has proven they can bring action scenes to life, and Leitch – who moved from stunt co-ordination and second unit work to co-direct the first Wick with Chad Stahelski – has certainly shown he's got the flair for it. Chris Morgan has written the script for the new film, which doesn't yet have a name, but should boast Johnson's Luke Hobbs and Statham's recently redeemed Deckard Shaw on their own mission, minus any candy asses. Universal wants this one in cinemas for July next year, and so it needs the wheels to hit the road quickly. 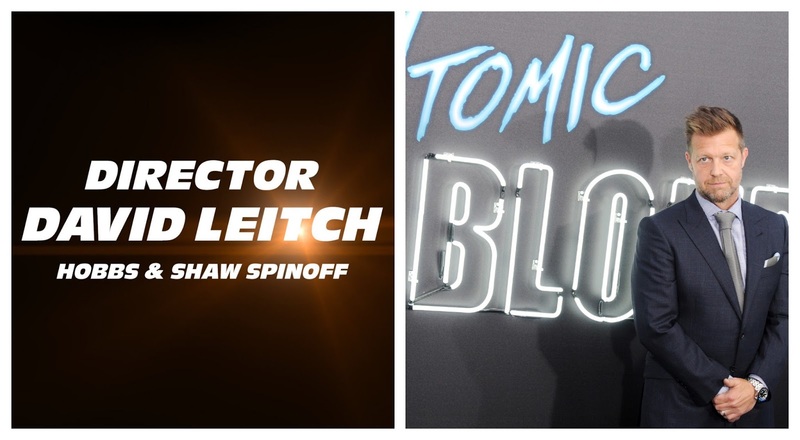 Leitch's most recent job was directing Deadpool 2, which opens in the UK on 16 May and has just released its second trailer.